Well last night didn't exactly go according to plan. On the way to the Cane's game, the car decided it wanted to start making a weird noise and a funny smell. We were reluctant to get too far away from home and turned back around. So, we didn't get to go to the hockey game for which we had nonrefundable tickets. Yuck. We had to laugh as we turned around, as this is the way things tend to go. 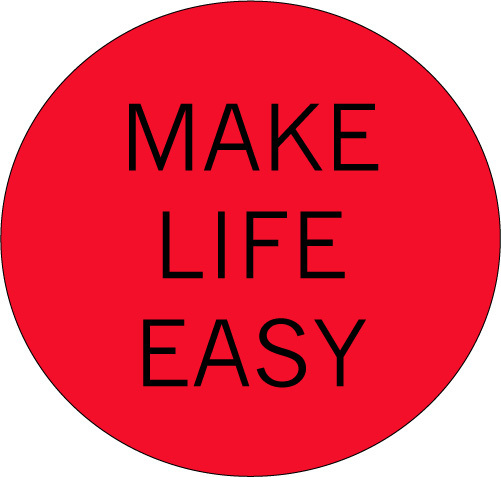 We joked about how it would be so nice if there was a 'make life easy' button that could be pressed in these kinds of circumstances. 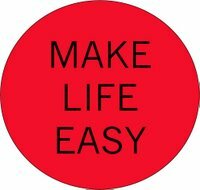 I love the make life easy button!!!!! This will make me smile next time everything gets crazy. Sorry you missed the game! I love hockey.